Tenor Paul Appleby has withdrawn from these performances due to illness. On November 21 and 22, Michael Slattery replaces him in Serenade for Tenor, Horn, and Strings, and Dominic Armstrong replaces him in Spring Symphony. On November 23, Anthony Dean Griffey replaces him in both works. Benjamin Britten composed his sublime song cycle Serenade for Tenor, Horn, and Strings upon request from the legendary horn virtuoso Dennis Brain and created the tenor part for Peter Pears (the composer’s life partner, for whom he wrote all of his most notable tenor roles). A string orchestra accompanies the soloists. The dedicatee of the Serenade—and compiler of its texts— the English poet and critic Edward Sackville-West provides an apt summary of words and music: “The subject is Night and its prestigia [tricks], the lengthening shadow, the distant haze at sunset, the Baroque panoply of the starry sky, the heavy angels of sleep, but also the cloak of evil—the worm in the heart of the rose, the sense of sin in the heart of man.” The six “nocturnes” set poems by English authors spanning from the 15th to the 19th centuries, while a Prologue and an Epilogue for solo horn frame those songs. The first thing that will strike the ear of the listener is that the pitches of the haunting Prologue will sound sharp or flat. This is because we are accustomed to hearing the chromatic scale, whereas Britten asks the soloist to play on the natural harmonics of the horn (i.e., without using valves). Highlights of the Serenade include Pastoral—Charles Cotton’s “The Day’s Grown Old,” about the effects of the setting sun on the countryside, lengthening shadows and turning “brambles into tall cedars”; Elegy—William Blake’s darkly evocative “O Rose, thou art sick”; and Sonnet—John Keats’s “O soft embalmer of the still midnight,” in which the poets asks sleep to “seal the hushèd Casket of my Soul.” The hornist is not heard in Sonnet, but instead leaves the stage to play the Epilogue solo “in the distance,” a mirror image of the opening music. Fittingly, Britten chose to conduct Sonnet at the memorial concert for Dennis Brain who had died an untimely death at age 36 in a car accident. Philharmonic audiences have the rare opportunity to hear one of Benjamin Britten’s masterworks, infrequently performed because of the huge artistic forces required. Cast in four sections—somewhat like movements of a symphony—it is scored for very large orchestra (including cow horn in the fourth section), chorus, boys’ choir, and three soloists. 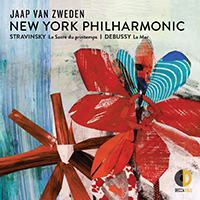 It was co-commissioned by Serge Koussevitzky for the Boston Symphony Orchestra and the Concertgebouw Orchestra in Amsterdam. Inspired by the Suffolk countryside he loved, Britten explained that the work represents “a symphony not only dealing with the Spring itself but with the progress of Winter to Spring and the reawakening of the earth and life which that means.” Each movement’s several poems—a total of 14—establish a mood or feeling about spring or the coming summer season. Texts span from Edmund Spenser’s “The Merry Cuckoo” to William Blake’s “Sound the Flute” to W.H. Auden’s “Out on the Lawn I Lie in Bed.” Each of the settings collected within the “movements” has its own personality—something Britten masterfully achieves by varying the performing forces and effects (the boys choir, for example, not only sings but also whistles; or the tenor sings solo accompanied by three trumpets), ending with the full-throated climax of the Spring Symphony, “Sumer is icumen in.” Not heard here since Leonard Bernstein conducted the Philharmonic in 1963, this rich encomium to spring is a must-hear. Michael Slattery made his New York Philharmonic debut in November 2013 singing Britten’s Serenade for Tenor, Horn, and Strings in the Orchestra’s celebrations of the composer’s 100th birthday as an acclaimed last-minute substitute for an ailing singer. Career highlights include the title role in Bernstein’s Candide at London’s Royal Festival Hall; The Very Best of Lerner & Loewe with Kelli O'Hara, Paolo Szot, and the New York Pops at Carnegie Hall; Peter Sellars’s Tristan Project with Esa-Pekka Salonen and Philip Glass’s Akhnaten with John Adams, both with the Los Angeles Philharmonic; J.S. 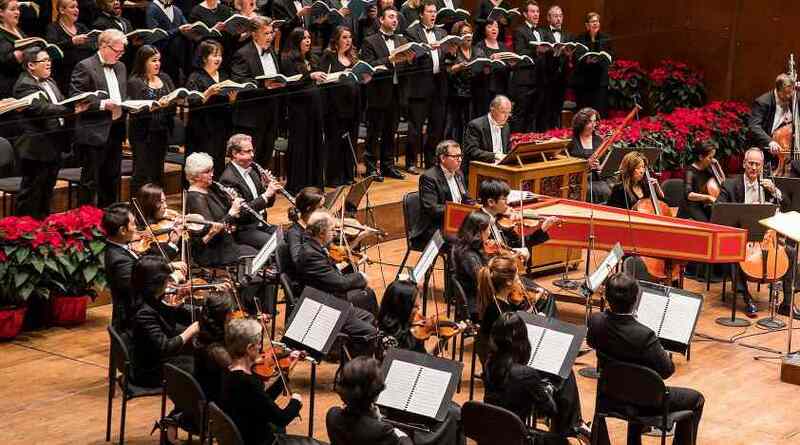 Bach’s B-minor Mass with Iván Fischer and the National Symphony Orchestra; Monteverdi Vespers of 1610 at the Berlin Staatsoper; and the title role in Monteverdi’s L’Orfeo at the Théâtre du Châtelet in Paris. He has also performed at the Edinburgh, Spoleto, Holland, Athens, Aspen Music, Mostly Mozart, and Williamstown Theater festivals, and as a soloist with ensembles including The Philadelphia, Seattle Symphony, St. Paul Chamber, and Philharmonia Baroque orchestras, and the Houston, Charlotte, San Antonio, Fort Worth, Pacific, and Kansas City symphony orchestras. Mr. Slattery’s solo recordings include The Irish Heart and Dowland in Dublin, chosen by Opera News as one of the best recordings of 2012. He has recorded a number of Handel’s works, including Saul with René Jacobs, for Harmonia Mundi, and Acis und Galatea, Atalanta, Samson, and Solomon with Nicholas McGegan. Recent projects have included Britten’s Curlew River with Olivier Py, and the World Premiere of Roland Auzet and Fabrice Melquiot’s Steve V (King different), the Steve Jobs digital opera, with Opéra de Lyon. Michael Slattery will perform in Robert Carsen’s production of Britten’s A Midsummer Night’s Dream at the Festival d’Aix-en-Provence next summer. He is a long-time supporter of the organization Sing for Hope and resides in New York City. Tenor Dominic Armstrong is a winner of the 2013 George London Foundation Vocal Competition. This season, he makes his role debut as Cavaradossi in Puccini’s Tosca with the Northwest Indiana Symphony and appears in holiday concerts with the Oregon Symphony; in recital with the Brooklyn Art Song Society; in Mozart’s Requiem with the Lansing Symphony; in Britten’s Serenade for Tenor, Horn, and Orchestra, with both the Princeton Symphony and the Symphony in C; and in recital with Christine Brewer and Craig Rutenberg, under the auspices of the George London Foundation. In the 2012–13 season Mr. Armstrong returned to New York City Opera to sing Peter Quint in its production of Britten’s The Turn of the Screw, followed by his debuts at Carnegie Hall and with Lyric Opera of Chicago, as Steve in Andre Prévin’s A Streetcar Named Desire. He closed the season premiering two new operas: Jorge Sosa’s La Reina with American Lyric Theater, and Lera Auerbach’s The Blind with American Opera Projects. His engagements in the previous season included Chicago Opera Theatre’s production of Shostakovich’s Moscow, Cheryomushki; his Memphis Opera debut as Eisenstein in J. Strauss II’s Die Fledermaus; and a return to Lorin Maazel’s Castleton Festival to cover Don José and perform Le Rémendado in Bizet’s Carmen. His other Castleton appearances included the roles of Macheath in Britten’s The Beggar’s Opera, Peter Quint in Britten’s The Turn of the Screw, Le Petit Vieillard in Ravel’s L’Enfant et les sortilèges, and Luigi in Puccini’s Il tabarro. Dominic Armstrong’s recent seasons have included performances with companies such as Opera Philadelphia, Deutsche Oper Berlin, Opera Regio Torino, Wexford Festival Opera, Wolf Trap Opera, and Musica Viva Hong Kong. His numerous awards include Grand Finalist in the 2008 National Council Auditions with The Metropolitan Opera and winner of the 2009 Liederkranz Art Song Competition. These performances mark his New York Philharmonic debut. Four-time Grammy Award–winning tenor Anthony Dean Griffey’s 2013–14 season includes performances in Britten’s Peter Grimes with the St. Louis Symphony and War Requiem with the Atlanta Symphony Orchestra; both included appearances at Carnegie Hall. 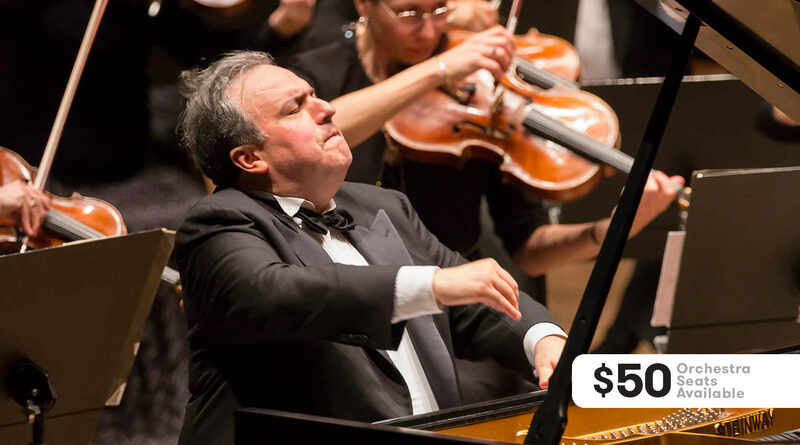 He also returns to Houston Grand Opera and Los Angeles Opera, and makes debuts at Opera Carolina and the Orquestra Simfònica del Gran Teatre del Liceu. Mr. Griffey has appeared at The Metropolitan Opera, San Francisco Opera, Lyric Opera of Chicago, Santa Fe Opera, Paris Opéra, Teatro Comunale di Firenze, and Rome’s Teatro dell’Opera. He has performed the title role in Peter Grimes all over the world, most recently in The Met’s production broadcast on the Met: Live in HD series. He created the roles of Mitch in André Previn’s A Streetcar Named Desire, at San Francisco Opera, and Lennie in Carlisle Floyd’s Of Mice and Men, at Houston Grand Opera. He recently premiered Christopher Theofanidis’s The Gift with the Pittsburgh Symphony Orchestra. 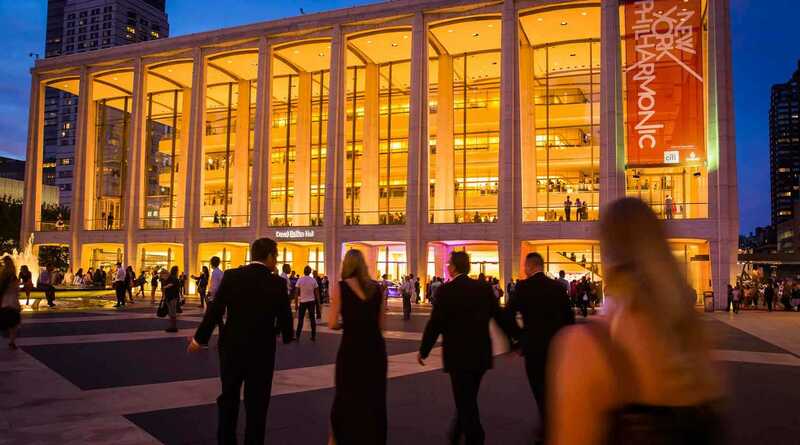 Concert engagements have included the New York, Berlin, Munich, and Los Angeles philharmonic orchestras; the Chicago, Boston, Pittsburgh, Atlanta, Montreal, Toronto, and London symphony orchestras; The Philadelphia and Minnesota Orchestras; The Chamber Music Society of Lincoln Center, Philharmonia Orchestra, Halle Orchestra, Orchestre de Paris, Zurich’s Tonhalle Orchestra, Orquesta Nacional de España, Orquestra Sinfônica do Estado de São Paulo, Radio Filharmonisch Orkest Holland at the Concertgebouw, and NJK Symphony Orchestra; and at the BBC Proms, Tanglewood, Ravinia, Aspen, Edinburgh, Lanaudière, and Saito Kinen festivals. He made his recital debut at Carnegie Hall’s Zankel Hall in 2004, and has given recitals with pianist Warren Jones throughout the United States. Anthony Dean Griffey holds degrees from Wingate University, Eastman School of Music, and The Juilliard School, and he was a member of The Metropolitan Opera’s Lindemann Young Artists Program. He was also inducted into the North Carolina Music Hall of Fame in 2011. His honors include the Doctorate of Humane Letters from Wingate University and induction into the North Carolina Music Hall of Fame. Anthony Dean Griffey made his New York Philharmonic debut in October 1999 performing the World Premieres of Aaron Jay Kernis’s Garden of Light and Miachel Torkey’s Four Seasons, conducted by then Music Director Kurt Masur; he most recently appeared with the Philharmonic in June 2010 performing Beethoven’s Missa solemnis, conducted by Music Director Alan Gilbert. London-born soprano Kate Royal studied at the Guildhall School of Music & Drama and the National Opera Studio. Her honors include the 2004 Kathleen Ferrier Award, 2004 John Christie Award, and 2007 Royal Philharmonic Society Young Artist Award. In concert Ms. Royal has performed with the London, Berlin, Los Angeles, La Scala, Royal Liverpool, and Rotterdam philharmonic orchestras; Boston, National, BBC, and Bavarian Radio symphony orchestras; Orpheus and Scottish Chamber Orchestras; Concert d’Astrée; Philharmonia Orchestra; and Orchestra of the Age of Enlightenment. She has appeared at the BBC Proms and the Verbier, Baden-Baden, and Edinburgh International festivals, and she has given recitals throughout Europe and North America. The conductors she has collaborated with include Thomas Adès, Jiří Bělohlávek, Myung-Whun Chung, Emmanuelle Haïm, Pablo Heras-Casado, Vladimir Jurowski, Sir Charles Mackerras, Yannick Nézet-Séguin, Vasily Petrenko, Sir Simon Rattle, Helmuth Rilling, Esa-Pekka Salonen, Robin Ticciati, and Jaap van Zweden. Ms. Royal’s opera engagements include Pamina in Mozart’s The Magic Flute at the Lucerne and Glyndebourne Festivals and the Royal Opera House, Covent Garden; Countess Almaviva in Mozart’s The Marriage of Figaro and the Governess in Britten’s The Turn of the Screw for Glyndebourne Touring Opera; Helena in Britten’s A Midsummer Night’s Dream at the Glyndebourne Festival and at Teatro Real in Madrid; Poppea in Monteverdi’s L’incoronazione di Poppea for English National Opera; Miranda in Thomas Adès’s The Tempest at Covent Garden; Handel’s L’Allegro for Paris Opera; Micaëla in Bizet’s Carmen and Donna Elvira in Mozart’s Don Giovanni at the Glyndebourne Festival; and Countess Almaviva at the Aix-en-Provence Festival. In 2011 she made her debut at The Metropolitan Opera as Euridice in Gluck’s Orfeo ed Euridice. Upcoming appearances include Micaëla at The Metropolitan Opera, the Governess at Paris Opera, Lady Penelope Rich in Britten’s Gloriana at Covent Garden, and Pamina at Baden-Baden with Mr. Rattle and the Berlin Philharmonic. An exclusive EMI Classics recording artist, Kate Royal’s discography includes Midsummer Night, a collection of 20th-century arias performed with Edward Gardner and the Orchestra of English National Opera, and a recording of some of her favorite songs performed with Mr. Gardner and the Academy of St. Martin in the Fields. Her solo recital disc with pianist Malcolm Martineau, A Lesson in Love, was released in 2011. Other recordings include Mahler’s Symphony No. 4 with the Manchester Camerata (Avie Records) and Schumann’s Liederkreis with pianist Graham Johnson (Hyperion). Grammy Award–winning mezzo-soprano Sasha Cooke has performed at The Metropolitan Opera, Opéra national de Bordeaux, San Francisco Opera, English National Opera, Gran Teatre del Liceu, Houston Grand Opera, Israeli Opera, and others. Previous orchestral engagements have included the New York, Los Angeles, Hong Kong, and Netherlands Radio philharmonic orchestras; The Philadelphia and Cleveland Orchestras; Boston, Chicago, London, National, San Francisco, Tokyo, Melbourne, New Zealand, and New World symphony orchestras; and the Deutsches Symphonie-Orchester Berlin, and Montreal’s Orchestre Métropolitain. She has collaborated with leading conductors such as Jaap van Zweden, James Conlon, Andrew Davis, Gustavo Dudamel, Mark Elder, Alan Gilbert, Bernard Haitink, James Levine, Riccardo Muti, Yannick Nézet-Séguin, Leonard Slatkin, Michael Tilson Thomas, and Edo de Waart. She has performed in the World Premieres of operas by Mark Adamo, Mason Bates, William Bolcom, Laura Kaminsky, Nico Muhly, John Musto, Joby Talbot, and others. Ms. Cooke can be heard on recordings released by labels including BIS, Hyperion, Pentatone, Naxos, Bridge, Yarlung, GPR Records, and Sono Luminus. She is a graduate of Rice University, The Juilliard School, and The Metropolitan Opera Lindemann Young Artist Development Program. Founded in 1979 by Joseph Flummerfelt, the New York Choral Artists has since then been a regular part of the New York Philharmonic season. 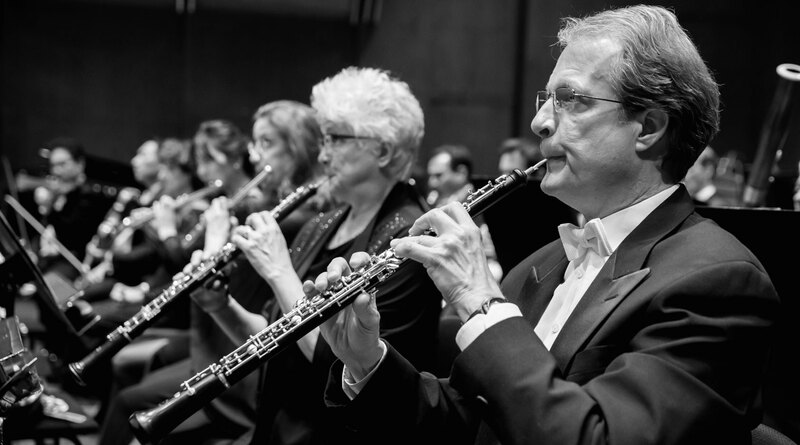 Its many collaborations with the Orchestra include a memorial performance of Brahms’s A German Requiem, conducted by Kurt Masur, immediately following the events of 9/11. In more recent years, appearances have included Britten’s War Requiem and Mahler’s Symphony No. 8 led by Lorin Maazel. 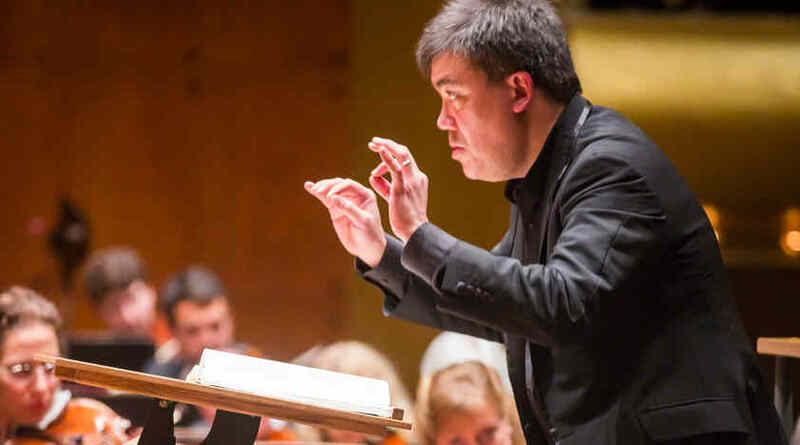 Highlights of Philharmonic collaborations under the direction of Alan Gilbert include Bach’s B-minor Mass, Beethoven’s Missa solemnis, Mendelssohn’s Elijah, Ligeti’s Le Grande Macabre, and in January 2015, the Verdi Requiem. Noteworthy among its Philharmonic recordings are the Grammy-nominated release of Mahler Symphony No. 3 conducted by Bernstein, Shostakovich’s Symphony No. 13 with Masur, and John Adams’s Grammy Award–winning On the Transmigration of Souls with Maazel. In 2014 the New York Choral Artists also appeared with the Vienna Philharmonic and the San Francisco Symphony in Carnegie Hall. Jacqueline Pierce is the group’s manager. For more than 40 seasons Joseph Flummerfelt has been preparing choral performances for the New York Philharmonic. Named Conductor of the Year in 2004 by Musical America, he is the founder and musical director of the New York Choral Artists, and was an artistic director of the Spoleto Festival USA for 37 years and conductor of the Westminster Choir for 33 years. He has collaborated with such conductors as Claudio Abbado, Daniel Barenboim, Leonard Bernstein, Pierre Boulez, Chailly, Colin Davis, Alan Gilbert, Carlo Maria Giulini, Lorin Maazel, Kurt Masur, Zubin Mehta, Riccardo Muti, Seiji Ozawa, Wolfgang Sawallisch, Robert Shaw, and William Steinberg. Dr. Flummerfelt’s choirs have been featured on 45 recordings, including Grammy Award–winning versions of Mahler’s Symphony No. 3 with Bernstein, Barber’s Antony and Cleopatra, and John Adams’s On the Transmigration of Souls. He has also received two Grammy nominations, and his Delos recording of Brahms’s choral works — Singing for Pleasure, with the Westminster Choir — was chosen by The New York Times as a favorite among Brahms recordings. Joseph Flummerfelt’s honors include Le Prix du Président de la République from L’Académie du Disque Français and five honorary doctoral degrees. He is sought out as a guest conductor and master teacher of choral conducting in New York and throughout the United States.